Makati City Rep. Teddy Boy Locsin Jr., chairman of the House Committee on Electoral Reforms and Suffrage, lost his temper and hurled expletives during the House meeting on alleged poll fraud, reports GMAnews.tv. Smartmatic-TIM admitted that the supposed time stamp errors on election returns from automated voting machines were "relative" and "unforeseen." 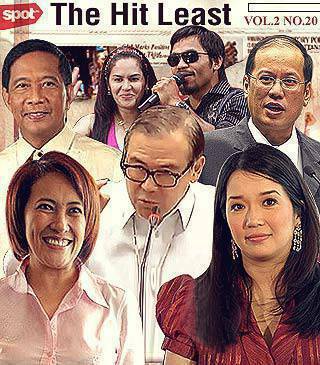 An irate Teddy Boy Locsin said: "Your system has no security whatsoever, and that's ridiculous. Do you realize what fools you have made of legislators who pushed for this law? Your assurance was that if fraud is committed, we will be able to trace it... Now you're telling me this?" The time and date stamps on the election returns indicate when polls were closed and results were transmitted from a specific precinct. Former Environment Secretary Lito Atienza, who was also present at the meeting, reported cases of wrong times and dates printed on ERs produced by automated counting machines in some of the city's precincts last May 10. The Commission on Elections (Comelec) maintains that no poll fraud took place. Comelec chairman Jose Melo told GMAnews.tv that the time errors will not affect the results of the polls.